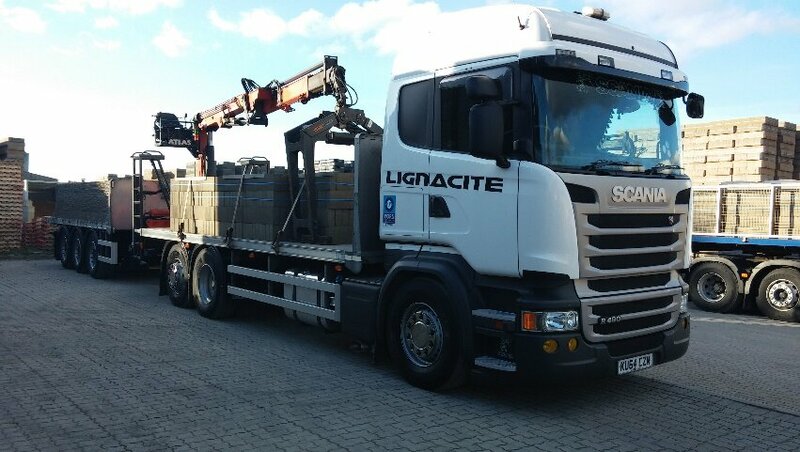 Lignacite is a family run company that has been around for 65 years. The company is firmly founded on old fashioned values without being stuck in the past. It strives to combine a keen eye for design, a love of materials and a view to the future. 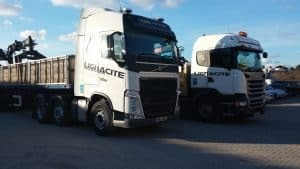 With a desire to meet modern day requirements and to use natural, recycled and renewable products, Lignacite has become the market leader in innovations for concrete and facing masonry blocks. Lignacite has provided commodity building blocks for use in landmark buildings, such as The Gherkin and The Shard, the company also supplies blocks for general housing, offices, hospitals, schools, leisure and commercial developments. For Lignacite the use of carbonation technology is an extension to their long standing sustainability. As part of this, the company uses local sand and gravel for its blocks and up to 90% recycled waste materials, such as wood shavings, glass and shells in its products. Joanne Robinson – Head of Customer Services and Logistics is our elected Fuel and Emissions Champion and she explains how important FORS is to our Company. *No incidents or PCN’s for the past 3 years. We only have 1 Operating centre and all our servicing is done by main dealers at their sites not ours. The only noise generated is when my lorries are idling so we can carry out our defect checks. All my lorries have white noise reversing alarms fitted to them. We carry building blocks to construction sites across the whole country. As we rely on our customers asking us to deliver to various construction sites across the whole country, we never know where we are going until they need us. Therefore we can’t afford to try and move anything via barge or train as we collect all the equipment from building sites and there is no other method than using a lorry and we then asked to deliver anywhere in the country. So using a Lorry is the most cost effective way of moving our clients goods. We are replacing all our lorries with Euro 6 engines as and when they are due for replacement. We have looked at electric vehicles and because of the weights we carry and the fact that our lorries have specialist equipment fitted no manufacture have produced an alternative fuelled vehicle that can carry the weight we do and go over the same terrain we do.